Due to an affinity for extreme temperatures and spicy foods, Sarah Hackley resides in her hometown of Austin, Texas with her husband and two children. She is the author of "Finding Happiness with Migraines: A Do-It-Yourself Guide," "Preparing to Fly: Financial Freedom from Domestic Abuse," and "The Things We Lose," as well as a contributor to the women's studies bestseller "Women Will Save the World." She also is a full-time editor, writing coach, and poet. Her interests include kickboxing, yoga, belly dance, pilates, hiking, philosophy, politics, and reading books of all genres. Check out her blogs at www.themigrainechronicles.com and www.sarahhackley.com <a href=”https://plus.google.com/113987480115977445795/about+"
Anyone living for long with chronic migraine knows that comorbidities occur frequently. However, I was surprised to learn — until I started my own personal collection — just how many there are. For instance, while I knew that migraine with aura was associated with vertigo, MTHFR deficiency, anxiety, and PTSD, I had less knowledge of the link between migraine and IBS and no knowledge at all of the link between migraine and Rheumatoid Arthritis. While knowing about something doesn’t necessarily change the prevalence of it, I think it would have helped to be prepared. Juggling multiple conditions isn’t easy, especially when the medications used to treat one disease (e.g. RA) tend to exacerbate another (e.g. migraine). Doing so while working, raising a family, and nurturing a strong marriage is even harder. But I’m not one to let the difficulty of a task faze me. 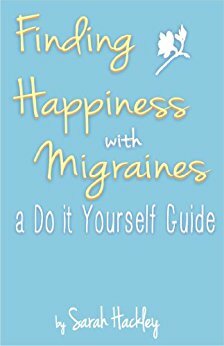 I started my migraine journey with the determination to figure out how to live the best, most joyful life possible, and I have no intention of stopping now. The journey may be a little rockier, and slightly more precarious, than I had anticipated, but it is the journey I’m on. I fully intend to find the magic moments and silver linings, and I’ll continue to write and share about my progress (the good and the bad) as I go. Yesterday, the migraine community was abuzz with the news that the FDA finally approved the first drug in a line of new migraine preventatives, a CGRP blocker named Aimovig. As the story was the number one trending story on the New York Times website for most of today, I’m not going to go into details about Aimovig or CGRPs in general. However, if you’re looking for more information on the treatment, the science behind it, or what else is still to come, I’ve compiled a list of links that may help. And, if you want to get a glimpse of how amazingly important this development is to the migraine community at large, take a look at my friend Katie’s video tweet from yesterday. I think many of us can relate to her joy. I know I certainly can. CGRP Drugs, Have Your Heard of Them? Long-time advocate Kerrie Smyres wrote a response to the impending FDA approval just a few days before the official announcement. In addition to being a personal friend, Kerrie is also one of my favorite migraine writers. And, in this piece, she shares some of her fears about the CGRP drugs — fears she and I have discussed in detail because I share them, too. While I’m definitely excited about this development in preventative therapy, I feel it’s important to consider the flip side of any new treatment. Particularly when it’s one so many people are relying on so heavily. And, to balance those worries, I’m also sharing a poem written by another one of my fellow Migraine.com advocates who has a personal history with the CGRP therapies. She’s ecstatic and was even months before the approval. The Migraine Chronicles Is Now a Proud Partner of the American Migraine Foundation! It’s been a while since I’ve written (more on that later), but I have some exciting news to share with you all. The Migraine Chronicles has joined the American Migraine Foundation to fight debilitating head pain together! As part of my ongoing commitment to providing meaningful information, resources, and support for those living with migraine, I’m thrilled to announce my new partnership with the American Migraine Foundation. The American Migraine Foundation is the official resource for millions of Americans living with migraine who are seeking reliable information about diagnosis, treatment, and advancements in research. Launched in 2010 as a patient support and advocacy effort of the American Headache Society, AMF’s mission is to mobilize a community for people living with migraine and their support networks and to drive impactful research into the third most common and sixth most disabling disease around the globe. Like I am, the American Migraine Foundation is dedicated to helping people with migraine live meaningful and pain-free lives. I’m excited to join forces with AMF to provide continual support, advocacy, and treatment innovations to people living with this disabling disease. The American Migraine Foundation supports people living with migraine by providing free, comprehensive information sourced directly from headache specialists; by maintaining a searchable database and map to improve access to headache specialists; by investing in research efforts toward new, innovative treatments; and by creating support networks and communities where people with migraine can support and learn from each other. I couldn’t be more excited about this collaboration. Be on the lookout for additional resources and enhanced communication from me in the very near future. Together, we are as relentless as migraine. Living with chronic illness uses up a lot of spoons. As does moving. As do the holidays. Putting them all together then isn’t a good idea. And yet I did it anyway. I do a lot of things anyway (like saying “yes” to “one more” project when my plate is already incredibly full, going to concerts, drinking beer, and staying up way too late on occasion) because life is too short to let a couple of diseases run how I live it, but this one may not have been my best call. Moving at Christmas is simply not an easy task. It takes a lot of spoons. Calling to set up new services. Calling to cancel old ones. Packing. Reserving, picking up, loading, unloading, cleaning, and returning the U-Haul. Unpacking. Setting up. Decorating the tree, twice. Buying a fridge and food to fill it. Making said food. It’s a lot of spoons, y’all. Just. A lot. Add the fact that both of my kids were out of school and underfoot in a new neighborhood with no friends, and I believe I must have been temporarily out of mind to agree to such a thing. Surely. I did take ten days off of work to accomplish the task, which made me optimistically believe I could survive the month of December without triggering a migraine flare. Of course, that didn’t happen. I ran out of spoons on about the third day and spent a great deal of my vacation trying to do everything I needed to do while feeling nauseous, dizzy, and like I wanted to bash my head in with whatever was close at hand. Thankfully, this has passed. We’re settled now, and things — including my brain — are starting to regain some sense of balance. Mostly. One of the things that happen when I experience a severe migraine flare is that my right arm acts up. It gets weaker and sometimes chooses to ignore the tasks my brain assigns to it. It also hurts. Thankfully, I found something that helps the nerve pain: the Salonpas products. A while back, the company sent me some free samples for my review on this blog (full disclosure). I don’t generally put too much stock into such items because I’ve been duly unimpressed with almost as many free trials as I’ve been given, but these were different. These — especially the lidocaine cream and patches — worked. I’m still using the products because my migraine hasn’t completely returned to baseline yet, and my hand and arm are still wreaking havoc on my ability to type, cook, and bathe. Since I also gave a sample to a relative with fibromyalgia (who says it’s helping her, too) and I’m almost out, I’ll be ordering some soon to add to my migraine toolkit. You know, for when I — inevitably — run out of spoons. We’ve all had those moments when — even armed with an insurance card and/or a prescription savings card — we’ve had to walk away from a pharmacy without our prescriptions or decline an infusion at our doctor’s office or clinic because the price for treatment was simply too high. Today, we have the opportunity to make sure the new CGRP treatments for migraine aren’t priced out of reach. Right now, the Institute for Clinical and Economic Review is reviewing erenumab, the first CGRP submitted for FDA approval, to determine if it is cost-effective. Its review and final report will have an enormous impact on the day to day lives of many of us living with migraine. The ICER is asking for patient input to accompany the droves of information it will be receiving from biotech companies, health economists, health plans, and medical providers. If you live with migraine, this is your chance to step in and explain what it is like to live with this disease every day and to shed a light on the disability experienced from migraine’s wide-range of symptoms. That information is vital to ensuring we all have affordable access to something that may significantly improve our quality of life. Patient reports must be received by the ICER by November 30, 2017. This is a short deadline, but your input is crucial! Please consider submitting a response today. The link to the submission form is here: https://icer-review.org/patient-guide-to-open-input/. It sometimes feel scary or overwhelming to define our experiences with chronic migraine, but now is the time to be heard. Please act now! United as one voice, we can make a difference. Like most ENFPs, I love to travel. The novelty of a new place (with its new sights, new people, new smells, and new adventures) never gets old. Yes, every big city is similar in many ways to every other big city (just as most small towns are similar in certain ways), but the differences between them – no matter how small – thrill me. I am happiest, in fact, when I have a trip scheduled for sometime in the next six months. As long as I know I am going somewhere soon, the normalcy of my everyday routine doesn’t get me down. You can understand my disappointment, then, when I realized that I may soon have to change either the frequency at which I travel or the way in which I do it. Flying, it turns out, makes me dizzy, dizzy, dizzy. I’m talking days of dizziness. Weeks of constant vertigo. And it took me until this year to realize it. Earlier this year, I flew to Philadelphia for a four-day trip. Though I was slightly dizzy the day we arrived, the vertigo quickly dissipated and I had a wonderful time at my conference and touring the city. Once I arrived home, however, I had the worst vertigo of my life, and it lasted for three weeks. Once it eased, I wrote it off as an anomaly. (As I am wont to do with most of my weird migraine symptoms.) Until, that is, I traveled to San Diego last week for another conference. Once again, the flight there wasn’t too big of a problem. Though I almost passed out from vertigo at one point during the first day, a two-hour lunch break in bed restored me for the rest of the trip. Arriving home, however, was an entirely different matter. It’s been five days, and the room is still spinning. I ran into a couch on the way to the kitchen this morning, and I had to cancel a doctors appointment because I couldn’t trust myself to drive. I’ve been working primarily in bed instead of at my desk all week, and I haven’t been to the gym once. I’m also about to leave on another trip, this time for five days to Florida. I haven’t had two long-distance trips so close together since my vertigo worsened, and I’m truly wondering how it will go. Apparently, vertigo after flying isn’t uncommon for those of us with vestibular migraine and/or migraine associated vertigo, but I’d certainly never heard of it before. Now, all I can do is refill my Valium (which my neurologist gave me for vestibular symptoms) and hope for the best. Oh, and make a promise to myself to never again schedule back-to-back air travel, of course.